Guy Fieri might be known for the greasy and deep-fried, but that doesn't mean this celebrity chef doesn't know how to enjoy the healthier things in life. 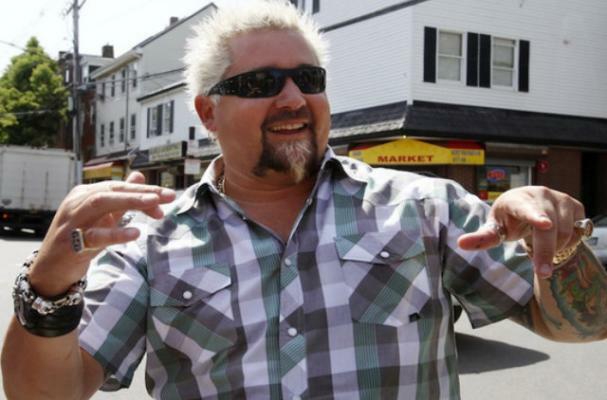 Fieri recently revealed to USA Weekend that he prefers to eat healthfully. "I'm a big eater in terms that I love flavor, but I don't like to eat a lot of one thing," the Food Network star said. "I like to eat a little bit. I don't eat sweets. I'm not a big dessert guy. I don't drink soda. So I've always been living in that space. I'm a huge kale fan." Perhaps, as Eater points out, it might be time to for Fieri to reflect his eating habits on his restaurants' menus.